Boeing Airplane Photos have a number of large, clear, good quality photos for all to enjoy. Many of the Boeing airplanes are shown here. 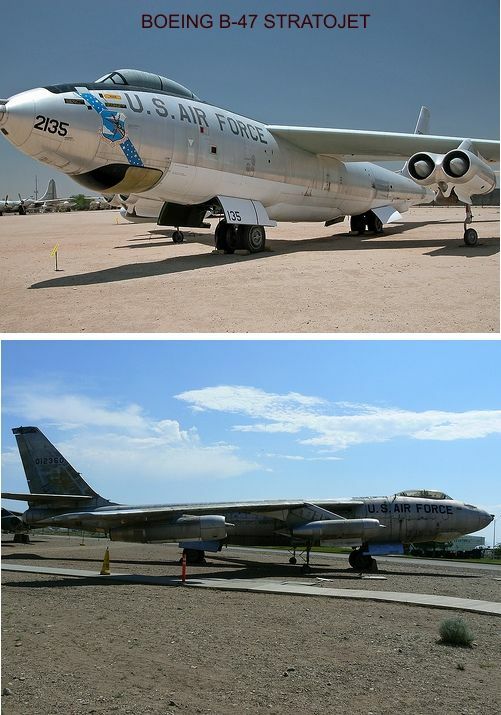 Come, browse and be awestruck at these amazing airplanes. All Boeing aircraft such as the 707 which was the first successful commercial passenger jet, the 727, 737, 747, 757, 767 and the largest of all twin jet engine airplanes - the Boeing 777 are all here for your enjoyment. 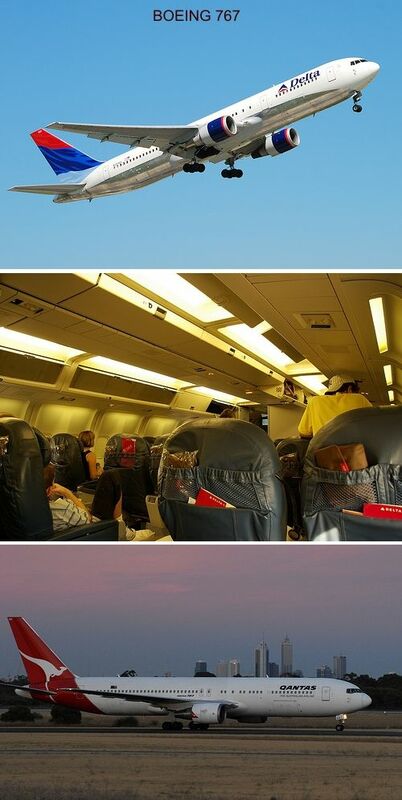 Most airplane pictures are of the outside of the airplane with some inside. 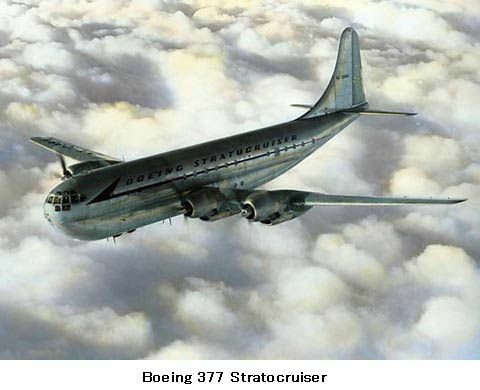 We start the Boeing airplane photos with planes built between 1933 and 1960. 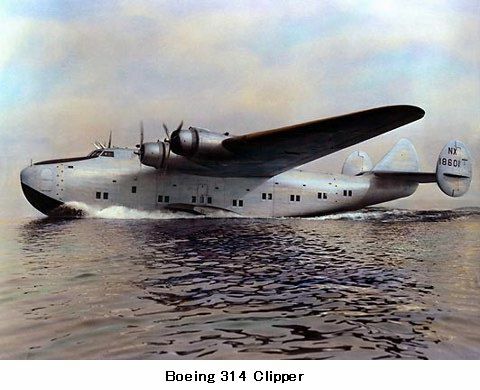 The Boeing 247 which first flew in 1933 was regarded as the modern fast airliner of the day. It could carry 10 passengers at 160 mph or 260 km/h. The 247 was the first twin - engine passenger airplane that could fly on one engine. On it's inaugural flight the Boeing 247 flew across America, San Francisco to New York in 19.5 hours. There were 75 of these aircraft built and they continued service until World War II. Then some were converted to c-73 transports and trainers. 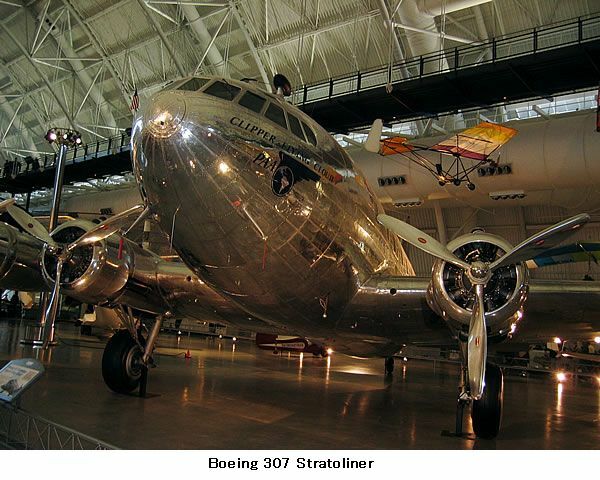 The Boeing 307 Stratoliner changed the way all previous airplanes flew. This airplane introduced two changes into commercial aviation. It was the first commercial transport aircraft with a pressurized cabin. This allowed the plane to cruise at an altitude of 20,000 ft (6,000 m), taking it well above any weather disturbances. The 307 also was the first to have a flight engineer as a crew member. The maximum speed of this airplane was 241 mph at 6,000' (387 km/h at 1,830 m).Cruise speed - 215 mph at 10,000 ft (344 km/h at 3,050 m) and had a range of 1,750 mi (2,820 km). Today there is only one Boeing 307 which was originally operated by Pan American Airways left remaining. 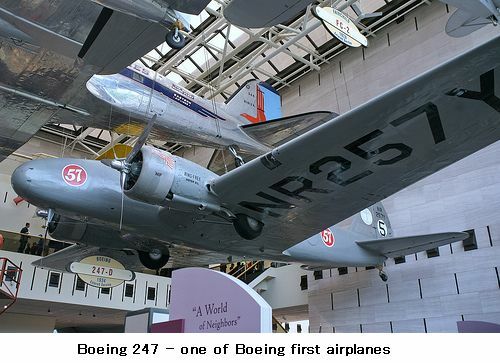 It is located at the Smithsonian Museum, Washington Dulles International Airport Virginia, United States. The first Pan American Boeing B314 flew on June 7 1938. Franklin D. Rossevelt made the first flight on a Boeing 314 as president in office on January 11 1943. He flew from Miami Florida to Bathurst British Gambia to meet with Sir Winston Churchill to plan the European invasion. This airplane became the first presidential aircraft. It also completed the first round-the-world flight by a commercial aircraft in 1939. The 377 was the first commercial airplane to be produced after the Second World War. 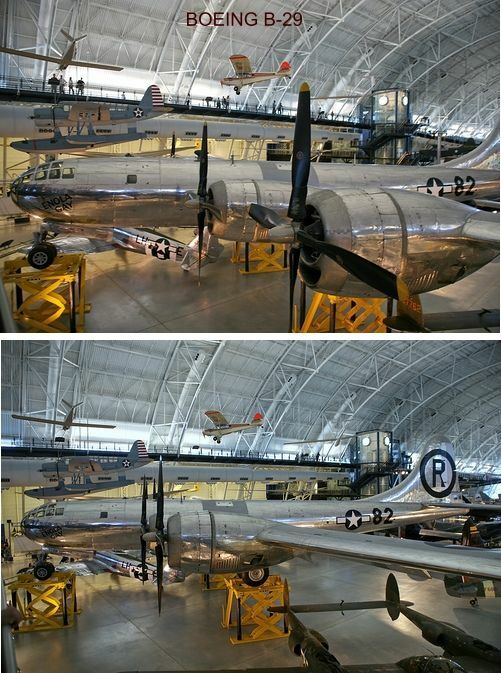 Based upon the B-29 Bomber this aircraft had allnew technologies acquired throughout the war period. It was faster, more powerful and luxurious. It contained extra wide cabin for passengers, a beverage lounge, a state of the art galley and 28 double bunks. Pan American were the first Boeing 377 customer. Flights from San Francisco California and Honolulu Hawaii began. Top speed 375mph, cruising speed 300mph. 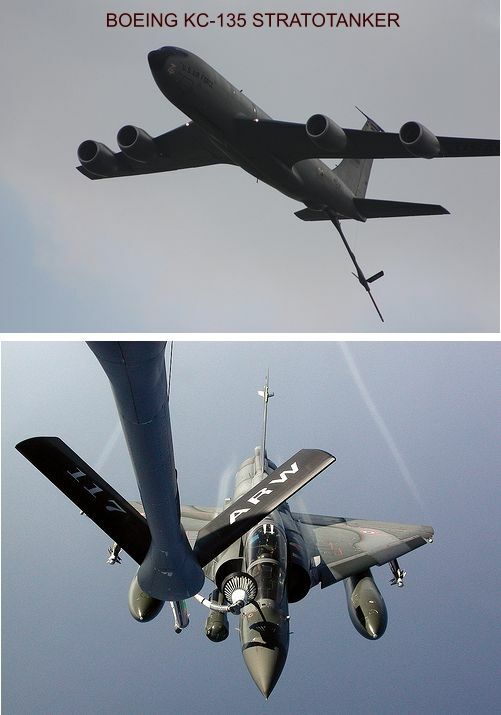 Below are the more recent Boeing airplane photos from the 707 through to the more recent 777. 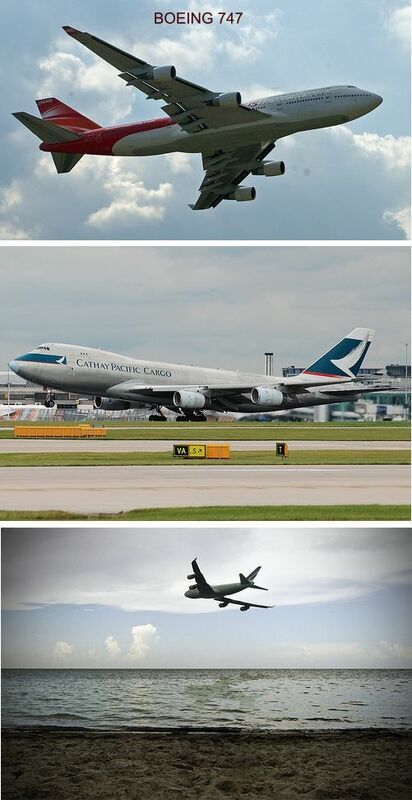 How great are the Boeing airplane photos that are snapped just as the airplane is taking off? It really gives a greater sense of amazement that these heavy man-made machines can really fly (if you understand what I mean). The next aircraft in our Boeing Airplane Photos is the 767. The 767 was the first wide bodied twin jet aircraft developed by Boeing. It was also the first Boeing wide-body airliner to enter service with a two-person crew flight deck. This meant that there was no longer a need for a flight engineer. The 757 and 767 became the first Boeing jetliners to share common flight decks and handling characteristics. This is common wtih Airbus airliners. The Boeing 777 is one of Boeing's success stories. It is the world's largest twinjet aircraft, capable of carrying more than 300 passengers a distance of 5,235 to 9,380 nautical miles (9,695 to 17,370 km) depending on model. the largest diameter turbofan engines of any aircraft worldwide. it was developed with advise from eight major airline companies. it is completely computer designed (and the first to be so). has a wingspan of over 212' or 64 m.
View the extensive range of model Triple Sevens by clicking here. Hand made models of these and many more airplanes can be found at Motion Models.com. Click here to place your order today. Return from Boeing Airplane Photos to Airplane Photos.